One yard and 25" long remnant. 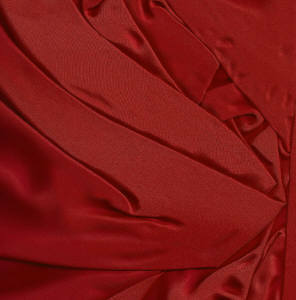 Silk has the benefit of taking and holding a wide range of colors. Imagine this silk as a gentlemenâ€™s waistcoat or coat. Think of the statement a lady would make as she enters the room with the sound and drape of this silk as a gown, or jacket with a matching petticoat. Silk garments were often pawned such as in this theft trial in The Proceedings of the Old Bailey recorded in London in 1765 "she described them very particularly, and told where they were pawned: [among the garments listed were] . . . a striped silk gown". Yellow orange medium weight silk thread will work well for hand sewing this silk. For sewing button holes several colors of quilter's thread could be used.